• Sam Kaye Excellence in Design Award – This award is given to the Design Professional (Architect, Interior Designer, Graphics Professional, etc.) who exemplifies Main Street, Historic Preservation and/or high quality design in their work with Mississippi’s Main Street communities and programs. The Gulf Coast Recovery Resource Team, otherwise known as the “Dream Team,” was made up of Community Design Solutions, Mahan Rykiel and Associates, Arnett Muldrow and Associates, and LandPlan Group South. The team worked with the people of the ravaged Mississippi Gulf Coast in six Katrina-affected communities along the Mississippi Gulf Coast, creating architectural renderings, landscape designs, urban planning and development vignettes, logos, wayfinding signage, entryway designs, infill projects, façade master plans, graphic design for marketing pieces and a myriad of additional design components. Not only did they create a remarkable design product, they also worked with patience, caring and understanding. There is no way to separate this award to honor any one of these firms over the other. Collectively, the “Dream Team” is most fitting to receive the inaugural Sam Kaye Excellence in Design Award for 2009. • Adaptive Re-Use Project – This award is granted to the best adaptive reuse of a building that has outlived its former use. Examples include conversions to housing and office space, multiple businesses, public meeting space, restaurants, cultural centers, etc. The First National Bank was built in 1903 as the anchor of downtown Laurel. In the fall of 2004, AmSouth left the building to build a new facility. It lay dormant for two years until investor Danny Rasberry purchased it, tore out most of the office structure and designed a restaurant and entertainment venue. In February 2008, the restaurant opened as The Reserve with an adjacent bar, Algiers’ Landing. The venue can seat more than 300 dining patrons and has concert seating for more than 400. With the help of the City of Laurel, Jessie Craft of Regions Bank, Laurel Express and independent business owners, downtown Laurel is not just surviving but thriving. • Historic Rehabilitation Project – An individual or business that has completed an outstanding historic rehabilitation project (maintains the use of the building). The project must be located in the downtown district and should include exterior rehabilitation work, but could be both interior and exterior work. (Must meet the Secretary of Interior’s Standards for Rehabilitation). The Bond-Grant House, a 104-year-old residence, was in danger of being demolished after Hurricane Katrina wreaked havoc on hundreds of historic homes in Biloxi. Biloxi Main Street restored and protected this important part of Biloxi’s past and is now utilizing it for the benefit of the entire community. The Bond-Grant House is now home to the Biloxi Main Street office and Biloxi Visitor’s Center. • Best Façade Rehabilitation Under $10,000 – This award recognizes the best single façade renovation project completed with under $10,000. The physical design of the façade should enhance the commercial district in appearance or function and encourage further design improvements. The nomination will be judged on design quality, proper restoration techniques, creativity and impact within budgetary and other constraints. Wayne Gouget, a Picayune real estate investor, purchased a building in downtown Picayune which was in desperate need of a new façade. Wayne discussed his façade ideas with Randy Wilson, MMSA’s Director of Design Services. Together they came up with the fantastic façade it bears today. Wayne did much of the work himself, which cut down on costs, and the project was the talk of downtown for months after its completion. • Best Façade Rehabilitation Over $10,000 – This award recognizes the best single façade renovation project completed with over $10,000. The physical design of the façade should enhance the commercial district in appearance or function and encourage further design improvements. The nomination will be judged on design quality, proper restoration techniques, creativity and impact within budgetary and other constraints. This year, a longtime dream came true. The Chamber of Commerce/Main Street/ Tourism Bureau of Ocean Springs received a $20,000 façade grant to transform a downtown building. Chris Marx and her husband, Richard, took the building at 1311 Government Street and transformed it inside and out. It will soon be home to a new pub and nightspot, that will make the city truly a day and night community. The renovated building also creates additional sales tax as well as property tax for Ocean Springs and Jackson County. • Best Downtown Public Improvement Project – This award is given to the municipality or downtown program that has designed and implemented attractive and sympathetic improvements for its downtown. Improvements must be within the downtown district. Streetscapes are included. In 2007, a Mississippi “First Impressions” team identified Duncan Street as Water Valley’s chief eyesore. The “Better Back Street” project was created to improve Duncan Street, which provides back-door entrances to many of the Main Street businesses. A $3,000 grant for the project from the Appalachian Community Learning Project grew to nearly $9,000 with donations of materials and labor. Fifty-five volunteers spent several Saturdays working on the “Better Back Street.” The project, completed in April 2009, demonstrates that a little money and a lot of volunteer spirit go a long way to brighten a town’s future. • Best Creative Fund-Raising Project – This award will be granted to the downtown organization that has displayed the most creativity and success in securing funds for its downtown program or specific project. Cleveland’s Italian Festival began while Volunteer Diane Makamson was preparing a “welcome home” spaghetti dinner for Cleveland’s National Guard Troops returning from Iraq. She threw a noodle on the cabinet to see if it was cooked enough and declared, “Let’s have an Italian Festival!” With that, Cleveland’s rich Italian heritage and enthusiastic volunteers, the festival has grown in just 3 years to include a Bocce Tournament, Spaghetti Eating Contest, Grape Stomping Contest, Children’s Activities, Concessions, Arts & Crafts, cooking demonstrations and continuous live entertainment for the 2-day event. • Best Newsletter – Population over 5,000 – This award recognizes excellence in communication by a downtown organization through its newsletter. To be eligible, at least three (3) newsletters must have been printed and distributed within the past calendar year. eNewsletters are included in this category. In 2007, the staff of the Downtown Tupelo Main Street Association began researching innovative ways to communicate the Main Street message of downtown revitalization to their existing and potential members. Communications specialist Donna Oswalt designed and launched the association’s e-newsletter in July 2007 and it has grown to a distribution list of more than 1,200 people. Evidencing the e-newsletters’ success, the Northeast Daily Journal reporters utilize its content for article background information and story ideas. 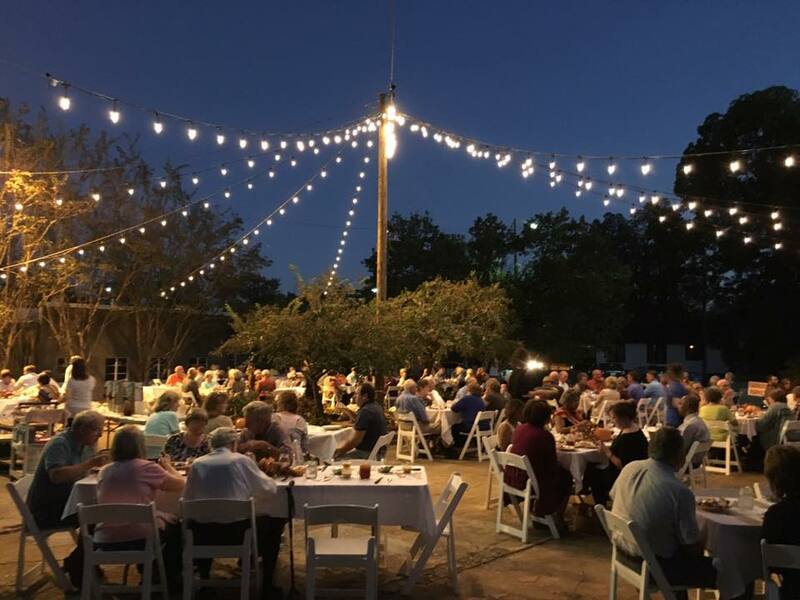 • Best Special Event – This award will recognize the downtown organization that has created a quality special event, generating traffic for the downtown. This activity must be a downtown organization event and includes festivals or other kinds of special events. and Woodville Deer and Wildlife Festival - Woodville/Wilkinson County Main Street Association, Inc.
On December 31, 2008, Main Street Columbus hosted the First Annual Columbus New Year’s Eve Block Party in historic downtown Columbus. It is rumored that this event is the only ball drop in the state and certainly the only one to be broadcast live on television in Mississippi. WCBI-TV supported and promoted the event for all the 368,000 individuals in the MS and AL viewing areas while more than 700 partygoers enjoyed the festivities and celebrated New Year’s downtown Columbus-style. Woodville Deer and Wildlife Festival - Woodville/Wilkinson County Main Street Association, Inc. The first ever Woodville Deer & Wildlife Festival in October 2008 attracted more than 2,500 people to the historic Courthouse Square in Woodville. Celebrating the hunting and fishing cultural heritage of the community, the festival showcased local artists, including pine needle basket makers, wooden bowl and spoon carvers, quilters, taxidermists, wild game callers, storywriters and orators, wild game cooks, and blues and gospel musicians – all from Wilkinson County. • Best Retail Promotion(s) – This award will honor the downtown organization that has developed an effective retail promotion(s) in conjunction with downtown merchants. This activity could be a sales-related event, special retail advertising campaign or non-sales related event. The “Autumn Walking Trail” was a fall promotional event for the downtown areas of Pontotoc, Sherman and Ecru. Scarecrows were designed by businesses, civic clubs, industries, school groups and merchants, creating a decorative “Autumn Walking Trail” for the month-long tour, increasing Downtown walking traffic and smiles. The Trail was a win/win situation for the merchants and the communities. • Best Image or Branding Promotion (Including Best Membership Brochure and Downtown Directory) – This award will recognize the downtown organization that has developed an effective public relations piece or promotional campaign. Projects may include the creation of a logo, brochure, advertisement (not retail) or image promotion campaign or event. This award recognizes a Main Street community who has displayed a distinguished commitment to downtown revitalization. Winner: Christmas in the Delta - Main Street Greenwood, Inc.
“Christmas in the Delta” was developed to showcase all of the holiday events in the Delta area. Eight communities joined forces through local Main Street organizations, Convention & Visitors Bureaus and Chambers of Commerce to create a unified Christmas season advertising campaign. A poster was designed by Hammons & Associates in Greenwood, and Planter’s Bank coordinated the distribution of 1,000 posters to each of the eight communities. The posters listed all Delta holiday activities that took place in November and December. The project was a true example of partnership and collaboration, exhibiting not just the Christmas spirit but also the Spirit of Main Street. Krebs Cemetery is believed to be one of the oldest family cemeteries in the United States still in use. For the tour, the cemetery is lit with torches, creating a solemn atmosphere for visitors. The roles of 14 characters were carefully researched so that only factual information was given. Dressed in authentic costumes, the characters include a progenitor of Pascagoula, two Civil War heroes, a Pulitzer Prize winner, a widow and a young bride. A collaborative effort between Pascagoula Main Street, Pascagoula Historic Preservation Commission, the City of Pascagoula Library Genealogy & Local History Department and the Jackson County Historic & Genealogical Society, Krebs Cemetery Tour has become a much-awaited community event. Main Street Merchant of the Year – recognizing excellence in the retail field. This award should go to a merchant who has been a mover and a shaker in downtown revitalization. The recipient should exemplify the best in merchandising, inventory, display, hours, etc. – value added – quality, convenience, and service. Downtown Retailer Wyatt Waters operates a successful gallery that has been the anchor of Olde Towne Clinton since 2001. Wyatt, along with his wife and business partner Vicki, have shown a commitment to downtown retail, maintaining consistent business hours and making customer service a priority while also recruiting other retailers to Olde Towne Clinton. Wyatt’s creativity is not limited to his gallery; he uses his gifts and talent to build a connection between Olde Towne and the community. A pair of bikes parked outside his gallery’s front door inspired Olde Towne’s catch-phrase, “Wheels-a-turnin,” and serve as a symbol of the town’s growth and forward movement. Wyatt donated his talent and expertise to create Main Street Clinton’s logo. When the Main Street Clinton program was started in early 2007, Wyatt was the first downtown merchant to agree to serve on the inaugural Board of Directors. As a member of the Arts Council of Clinton, Wyatt is responsible for starting “Flicks on the Bricks,” an outdoor movie night on the brick streets, now in its third season. Wyatt is a wonderful ambassador for Clinton, promoting Olde Towne Clinton wherever his travels take him. Yuki Northington was a key player in getting the Main Street program to Hancock County. She serves on the Board of Directors, was selected vice president of the executive committee and also serves as Co-chairman for the Design Committee. In her spare time, she runs three businesses in downtown Bay Saint Louis, including her design business, Social Chair, and her newest addition, The Proudest Monkey, is a place to create and paint your own pottery. Yuki has been a catalyst in helping rebuild the downtown business district and inspires others, especially by opening a new business in such difficult economic times. Yuki is a remarkable and creative businesswoman and is recognized today as a hero of Hancock County. Yuki is also a new “mom” again – she had her fourth child just this past week! Best New Development Project – granted to an individual or business that has undertaken a new development project within a downtown district. The project should not only achieve financial success and quality design, but have a positive impact on downtown revitalization. What had become one of the most blighted spots in downtown Senatobia also happened to be at a major entrance to Senatobia’s downtown area at U.S. 51 and Main Street. The Senatobia Presbyterian Church purchased the property and completed a $560,000 project to demolish the unusable building and create a landscaped berm between the church and highway. They added parking spaces, a colonnade to make the historic church handicap-accessible, and erected a bell tower for the old church bell. The church raised all funds, and the project was designed and built by local architects, contractors and landscape architects, making a significant impact to a major entrance to downtown Senatobia. • Best Public-Private Partnership Project – recognizing creative and positive joint ventures between the local government(s) and the private sector. Criteria for judging will include the success of the project, its impact on revitalization, and the nature and extent of the partnership effort. Eligible activities may include individual development projects or on-going cooperative programs. The Columbus Hitching Lot Farmers’ Market is an excellent example of a Public Private Partnership. Through alliances with community volunteers, Main Street Columbus and the City of Columbus strive to educate residents of Lowndes County on proper nutrition and provide the opportunity to purchase locally grown produce and goods. Aside from the market management, the partners seek to fulfill the goals of making the market an attraction to bring individuals into the historic downtown area, providing family-friendly entertainment and crafts, along with promotion opportunities for the downtown merchants. The state and local government partnerships, along with dedicated private member support, provide a great foundation for the market that is an excellent example of a cooperative public-private project. This award will recognize an elected or public official who has contributed leadership and support for downtown, and who best represents commitment to the goal of revitalization. Growing up in Picayune, Jerry Bounds knew he wanted to make Picayune a place his own children could grow up and thrive in. He was first nominated to the Picayune City Council in 2001 and as a councilman, focused his lifelong passion for Picayune into a vision for the city and its residents. Having served two consecutive terms on the city council, Jerry has worked diligently on many projects, including enhancing the city website, improving West Canal Street and playing a very instrumental role in relocating Picayune Main Street, Inc. to its new office in the recently built Train Depot. Heartfelt thanks to a special friend of Picayune Main Street, Inc. and Recipient of the 2009 Special Service Award for a Public Official, Councilman Jerry Bounds. This award will recognize a citizen from the private sector who has contributed leadership and support for downtown, and who best represents commitment to the goal of revitalization. For Tupelo, institutions of faith play a significant role in community development and are considered anchors for the downtown central business district. First United Methodist Church (FUMC) was the first church in Tupelo to join the Downtown Tupelo Main Street Association. The church has provided a meeting space for Main Street Communities and has converted a historical residence downtown into a clothes and food pantry called “Helping Hands”. For the past 8 years, Rev. Ray has offered the church’s sanctuary for the gospel concert during the Tupelo Elvis Festival, participated in the Chili Festival and promoted an artists’ banner series portraying the Stations of the Cross during Holy Week. Most notably, Rev. Ray organized a Christmas Eve luminary event that involved all five downtown churches and the more than 3,500 luminaries brought many visitors downtown. These examples demonstrate Rev. Andrew Ray’s and FUMC’s commitment to the downtown district and their role in community development and downtown revitalization. This award usually recognizes a youth/adult in a community who has displayed an involved commitment to downtown. The New Albany Main Street Youth Committee are inspired to take part in their community and their future. They learn about the importance of keeping the heart of the community alive and committee members volunteer for all the Main Street events that promote Historic Downtown New Albany. The committee, ranging from freshmen to seniors from the city and county high schools, consists of 66 members and three adult co-coordinators, and is the main source for volunteers for events like “Trick or Treat Downtown” and “Picnic in the Park”. These young adults are committed to the Main Street program and we applaud their efforts to promote Historic Downtown New Albany. Jimmy Eubanks has been a business owner for the past 30 years and a developer in Tunica and North Mississippi for the past 20 years. He has been on the Main Street board for 9 years and is one of the original board members who helped with the conception of Tunica Main Street. His two businesses are housed on Main Street, along with numerous empty buildings he has bought in the downtown area and renovated into new homes and office suites. Jimmy is the brain behind such projects as the Tunica Walking Tour, doesn’t miss a function or meeting, and is one of Downtown Tunica’s biggest cheerleaders. For his work and spirit, we honor Jimmy Eubanks today with a 2009 Spirit of Main Street Award. Harry Sharp has served on the Vicksburg Main Street Board since it was established in 1984 and has served 12 years as the Chairman of the Board. A local businessman and property owner, Harry owns Duff Green Mansion, a local Bed & Breakfast. Harry is successful in all his undertakings, and Vicksburg Main Street has certainly benefited from his leadership. Without him, downtown Vicksburg and the Vicksburg Main Street Program would not be what it is today. We salute longtime friend and leader of Vicksburg Main Street, Harry Sharp. This award is a $1,500 scholarship to the National Main Street Conference, given to a Main Street Manager who has shown outstanding service to their community and program. The scholarship will be awarded annually and nominations must come from the District Directors of MMSA. Charles was one of the founding board members of MMSA and served on the Board and in various officer positions, including President. “Charlie” was Board Member Emeritus at the time of his death in 2007 and had served Main Street since it was founded in 1989. Due to the commitment, time and enthusiasm that Paul Coggin brought to the Mississippi Main Street Association, a special award has been established in his honor. The Paul Coggin Memorial Award will be given to an outstanding board member or volunteer who has been active in a downtown organization for at least the last two years, and who has contributed energy and dedication to downtown revitalization. Please submit this nominee’s tenure in their program or board and the extent of his/her contribution. In addition to the nominating materials, two additional letters of support are required. Dr. Ryan Tracy served two terms as Main Street Clinton’s first president and continues to set standard for service to the program. Because of Dr. Tracy’s efforts, the Main Street program secured an ongoing funding agreement with Mississippi College and Central Mississippi Medical Center totaling $70,000 in its first five years. During his presidency, the Olde Towne Markets were started, which have renewed the community’s interest in the downtown. Dr. Tracy also worked to design, fund and install a professional outdoor music system in Olde Towne. A relentless problem-solver, Dr. Tracy would never allow himself or the organization to rest on success. He has said, “Better than someone else’s average doesn’t matter, we have not yet become the best version of ourselves.” He has indeed set the bar high for future volunteers of Main Street Clinton, and we commend him for his service to Main Street Clinton.